Just when is it too late to stop a foreclosure? Most people who have gotten behind on their mortgages do not want to lose their home. Unexpected events like job loss, medical illness, and other emergencies can cause a homeowner to fall behind on payments to the bank. Eventually, if you fall far enough behind on your mortgage, you will be in danger of having your home foreclosed upon. Foreclosure can cost you a lot more than just your home. It can ruin your credit score, resulting in thousands of dollars worth of penalties and legal fees and possibly resulting in a deficiency judgment, which you will have to pay back. Many homeowners are simply in denial of the fact that they are being foreclosed on. However, the worst thing that you can do in this situation is to do nothing. If you do nothing, the bank will foreclose, you will lose your home, your credit will likely be ruined and you will probably end up owing money after the home is sold at the auction. 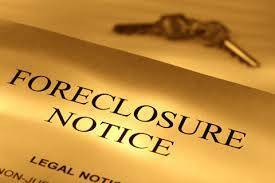 A foreclosure does not let you off the hook for what you owe to the bank. Some homeowners are so afraid after receiving escalating demand letters from the bank that they overreact to the situation. This can be just as bad as doing nothing. They might fall for the easiest way to escape without fully researching the options. These homeowners are likely to end up falling for scam artists who promise them the world as it relates to mortgage relief. Bankruptcy is a legitimate way to stop foreclosure. Even if your foreclosure is scheduled to take place in the next couple of weeks or in some cases —days—you have options. One of the best options is to file for Chapter 13 bankruptcy. Yes, a bankruptcy will stop a foreclosure immediately. Depending upon the type of bankruptcy that you file, you might be able to save your home. During a Chapter 7 Bankruptcy, your possessions are liquidated or sold to pay off your debts. Then, after your possessions are sold off, you receive what is called a bankruptcy discharge. This absolves you of all remaining liability. This means that the bankruptcy trustee might sell your home to pay back the bank but you won’t owe a deficiency judgment afterward. It will also stall the sale of your house, giving you a couple of months to either work something out with your lender if you want to keep your home or find another place to live. A Chapter 13 bankruptcy allows you to keep your property, including your house, and pay back your debt over a longer period of time—usually three to five years. If you are behind on payments, you can usually roll the delinquent amount into your Chapter 13 payments. This is a great option if you want to keep your home. No matter which chapters bankruptcy you file, the court will issue what is known as an “automatic stay”. This court order prevents the mortgage company from harassing you for payment. It also prevents them from moving forward with foreclosure proceedings unless the mortgage company files a motion for the court to lift the stay and the court agrees to this. Even if the bank agrees to lift the automatic stay, this process takes some time. Do You Need Help with Foreclosure? 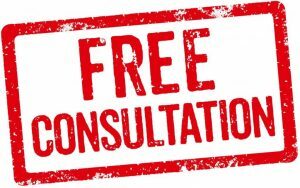 If you are having trouble making your payments or you are behind and need help, contact Consumer Action Law Group at 818-254-8413 for a free legal consultation today. They can go over the California foreclosure process with you and help you learn what rights you have against the bank. Most people who have gotten behind on their mortgages do not want to lose their home.